You can't miss the Hollywood Wax Museum Entertainment Center in Branson. Yes, it's the building on Highway 76 being climbed by a giant Great Ape! If you want to get up close and personal with your favorite stars and pose for fun pics with them, the Hollywood Wax Museum is definitely the place for you. While there, you'll also get the scoop on their pets, pet peeves, and accomplishments. After seeing stars, you can head next door to become a star at Shoot for the Stars Mini-Golf. While putting through palm trees and paparazzi, you'll take the 18 steps to becoming one of Hollywood's elite. 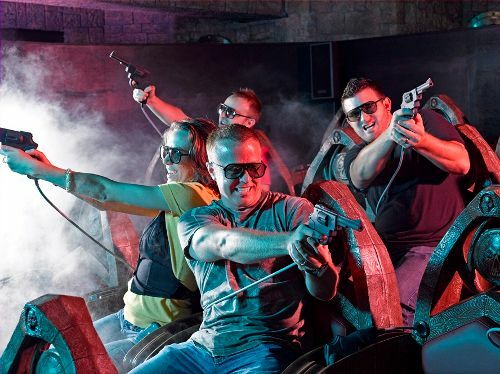 After "being discovered," you'll have the chance to discover what paranormal activity is lurking inside the Castle of Chaos, the world's first 5D adventure. You'll see, hear, feel and smell the chaos as you shoot for the highest score. 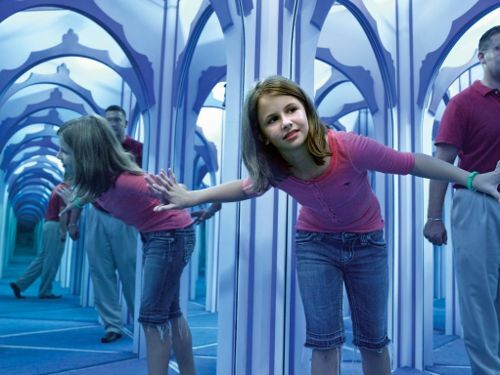 Finally, you'll score big if you're The Chosen One at Hannah's Maze of Mirrors, where Princess Hannah of Savannah is awaiting rescue. You'll need to find your way through 288 potential turns among hundreds of mirrored walls and archways and some areas where you see infinite reflections in every direction. Please visit http://hollywoodentertainmentcenter.com/ for more information.